In the summer, I try to avoid turning on the oven as much as possible as it just gets way too hot. 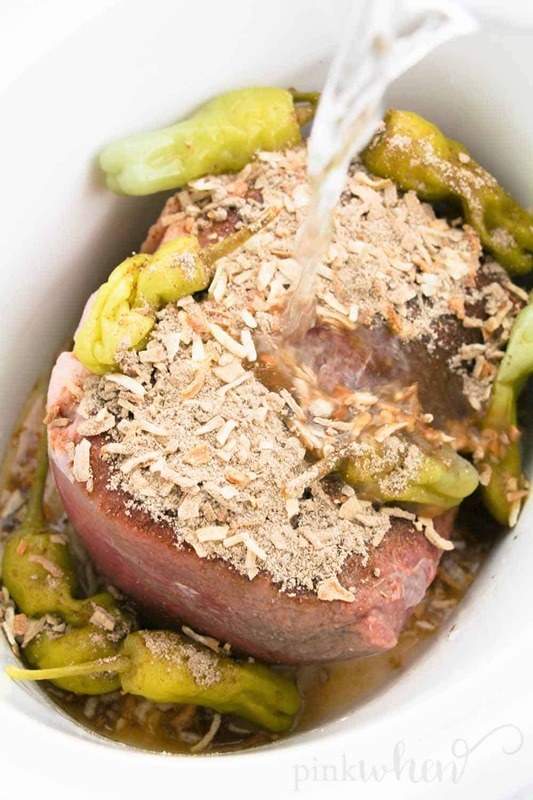 I love this slow cooker pot roast since it can cook while we’re off to the beach for a day. It’s done by the time we get home. 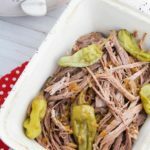 I made this crock pot roast recipe recently and had everyone asking for more due to it’s savory, juicy, and delicious flavor. You’re going to LOVE this crock pot roast. How do I cook a beef roast in the crock pot? 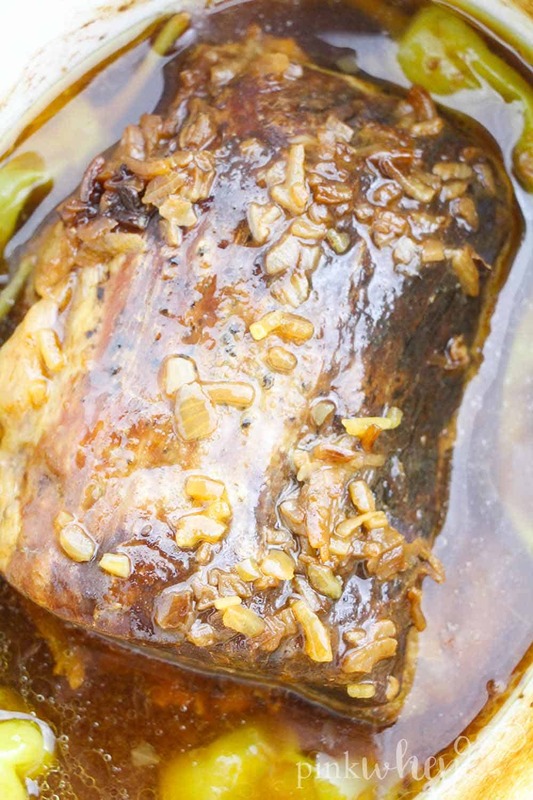 The best part of this crock pot roast is how EASY it makes dinner. 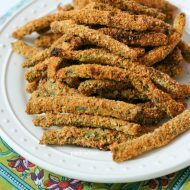 It’s perfect for summer since you can throw it in and go out with your family while it cooks – but it also has such few ingredients and steps. It’s perfect for those in a hurry – and it comes out so juicy and delicious. 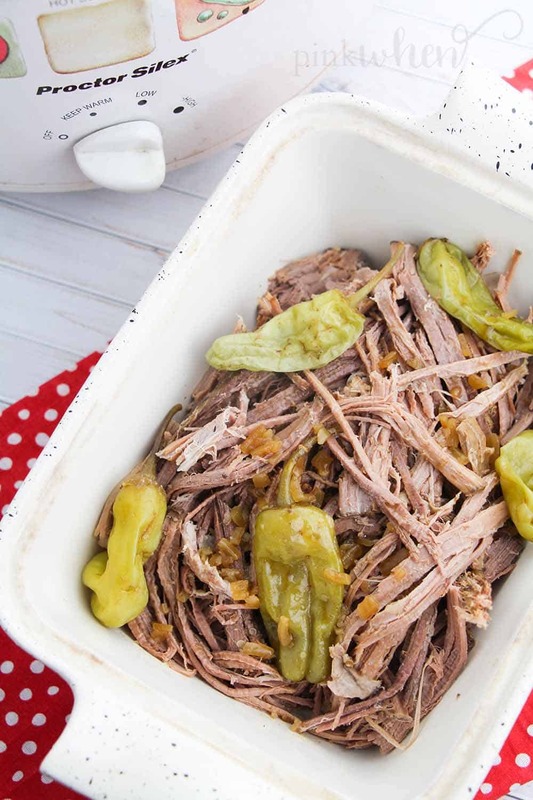 This slow cooker pot roast recipe is as simple as throwing the ingredients in a crock pot and setting your slow cooker on low for at least 8 hours. 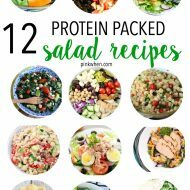 You’ll want to scroll down for the full recipe of course, but it is that easy. For this recipe, we used homemade ranch seasoning with dehydrated onions, but you can use fresh onions or add a package of onion soup mix instead if you prefer! I will say though that this slow cooker pot roast came out delicious by making homemade ranch seasonings with dehydrated onions. If you want the most savory flavor, I highly suggest making your ranch seasoning for your crock pot roast. 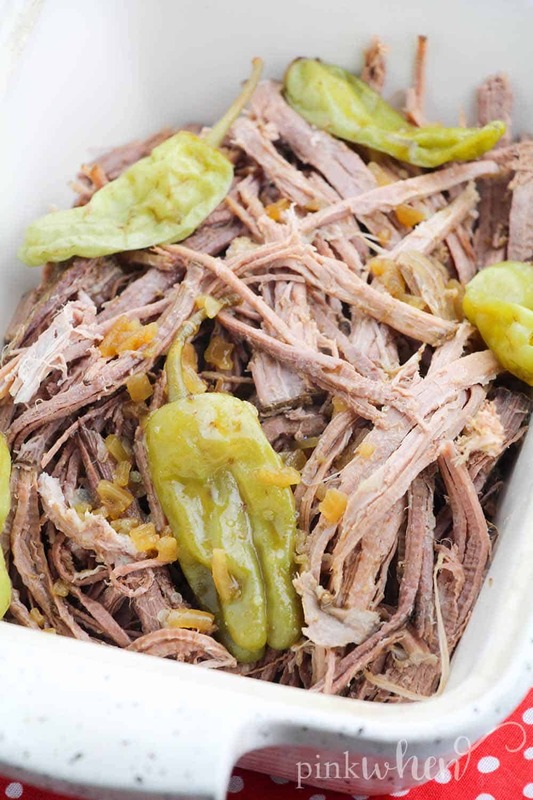 Shredded Crock Pot Roast with onions and peppers. 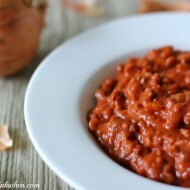 I know you’re dying to get to this recipe, so I’ll get right to it! I know you’re going to love this slow cooker pot roast recipe. 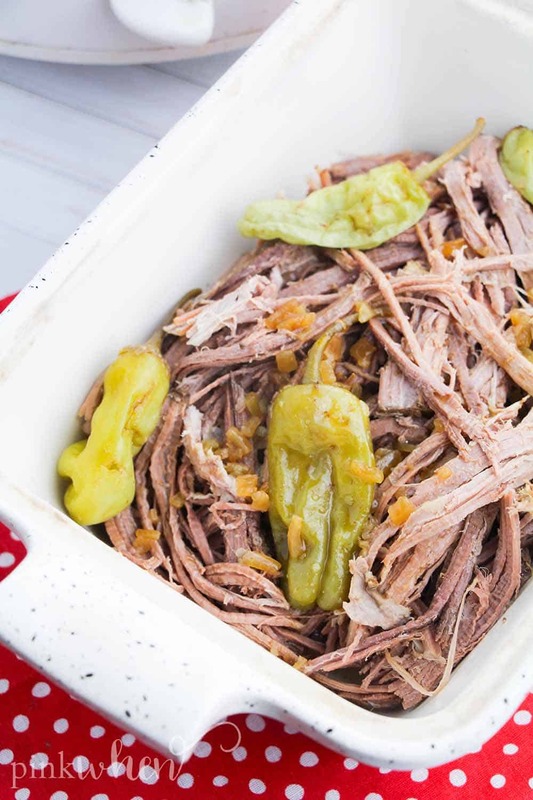 Follow the simple steps for this easy crock pot roast recipe. This slow cooker pot roast is an absolute must try for family dinners! It's so savory, juicy, and delicious - everyone will be asking for more of this crock pot roast! With few ingredients and even fewer steps, it makes such an EASY pot roast recipe. Place the pot roast in a crock pot and sprinkle on the seasoning. Add the peppers and juice, then the broth. Secure the lid and cook on high for 2.5-3 hours or on low for 5-6 hours, until the pot roast shreds easily with two forks. 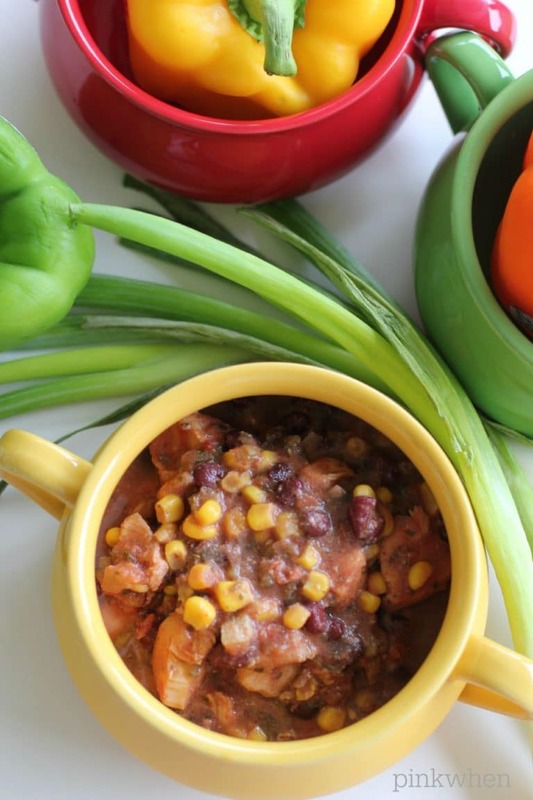 If you love this savory and juicy crock pot roast, be sure to try this chicken tortilla soup! 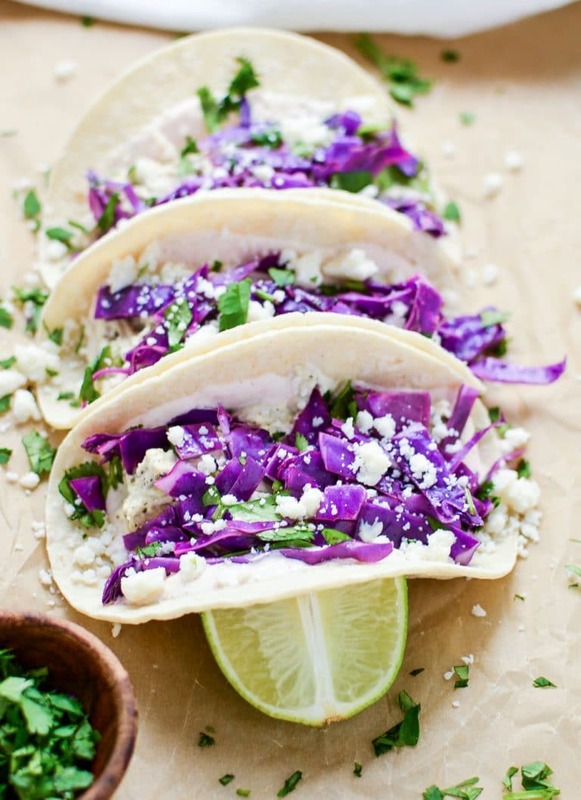 Or these delicious slow cooker salsa verde chicken tacos!